It’s here, but not here! “We are proud to present the new OnePiece SkiWear collection. The original idea of OnePiece was invented by three Norwegians whose concept is all about fun and living a relaxed lifestyle. Building on its huge international success OnePeice had no hesitation in expanding its talent for innovative leisurewear to this groundbreaking technical ski collection. Made to withstand all elements, the OnePiece ski-wear has 3-layers of active breathable materials from DuPont Active layer®, waterproof YKK® zippers and Cordura® reinforcement on all areas exposed to wear and tear. The suit provides crucial breathability under the most extreme and demanding conditions. Norway is a country known for its rouged terrain, only 10% of the landmass is cultivable and the rest belongs to the extreme wilderness. Growing up through the depts of Norwegian winters, the OnePiece team could not have been better equipped to imagine the ULTIMATE ski-wear outfit. It has been a long process in producing the OnePiece Skiwear and only the best materials are used in every part of the suit. 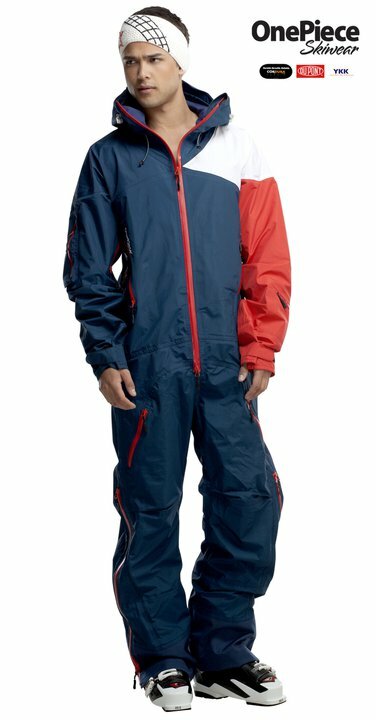 Co-operating with fabric manufactures who have made NASA spacesuits and invented materials like Kevlar and Teflon, the OnePiece skiwear will keep you dry, insulated and hip even in the most extreme conditions. 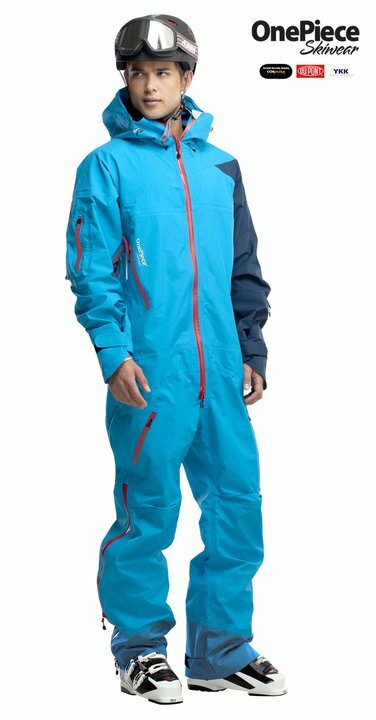 The OnePiece Skiwear is not only ideal for extreme skiing outside the slopes and serious fun in the ski park, but naturally, being a One piece, is the trendiest after -ski shill-out wear. Great promo picture… love the guys OnePieces against the blue sky. Just can’t get enough!